Today is Blogger's choice of a top 10 topic and I am choosing to show you the top 10 Indie books I have read in 2012. I am honored and proud to have been introduced to some really great Indie authors this year. So here are my choices for the best ones I have read (you can click on each book cover to take you to the blurb on Goodreads)! 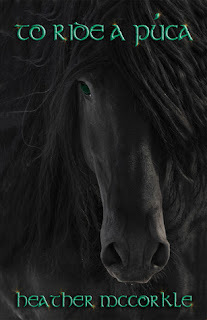 Libera Me (Requiem #2) by Christine Fonseca. I LOVED the first book in this series, but this book was just totally and completely AMAZING! I was asked to read this book prior to it's release and I have to say that it had my heart racing from beginning to end! Transcend by Christine Fonseca (can you tell I like Christine's work?). 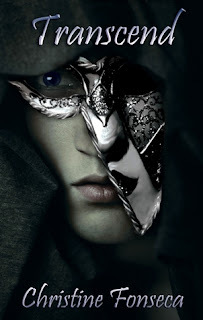 If you are a fan of Phantom of the Opera, this book is for you! A psychological thriller that will keep you on your toes and certainly rattle your brain. I was honored to be a beta reader for this book and I truly loved it. But, beware, it is very dark. 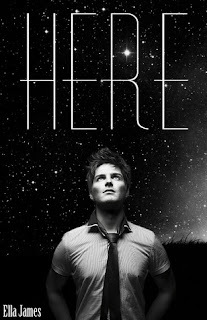 Here (Here #1)by Ella James. This book was just full of total awesome. I was not expecting to be pulled into it at first. But then Ella's writing just sucked me right through the story. If you are a fan of sci fi writing with a twist of romance this is the book for you! 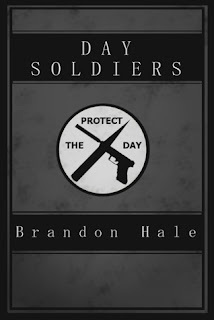 Day Soldiers by Brandon Hale. I was asked to read and review this book. It sounded interesting enough, vampires always intrigue me. But this book was nothing like I thought it would be. It's a paranormal and dystopian all mixed into one. Brandon's writing was awesome! 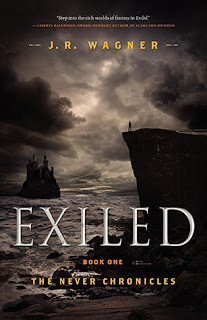 Exiled (The Never Chronicles #1) by J.R. Wagner. I was sent this book to read and review by the author. I am not usually a huge fantasy book fan, it really takes a lot to pull me into something like this. Think Harry Potter meets The Hobbit or Lord of the Rings. Interesting for sure! Open Minds (Mindjack Trilogy, #1) by Susan Kaye Quinn. Now this book is totally awesome. Another paranormal/dystopian mix. Susan's writing is just totally awesome. And I can't but help love her characters. If you like movies like XMen, then you'll be pulled right into this story! 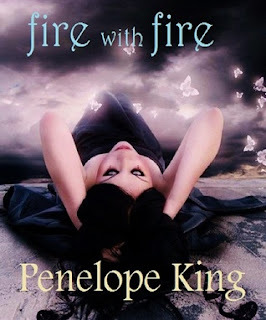 Fire With Fire (Demonblood #2) by Penelope King. I mentioned Penelope's first book, A Demon Made Me Do It, on my Top 10 Books I've Read in 2012 list. I absolutely loved that book. And this sequel was even better. If you like demons and hell hounds, pick this one up, quick! To Ride a Puca by Heather McCorkle. I have to say, I was not expecting to like this story as much as I did. I am not usually one for historical fantasy, but this really just caught me off guard. Heather's writing is amazing and her imagery is awesome. It was great to see the origins of her Channler novels! 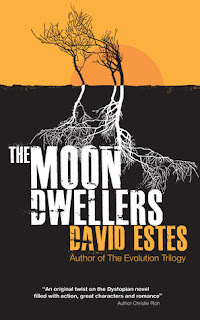 Moon Dwellers (The Dwellers #1) by David Estes. If you like dystopians like Divergent and The Hunger Games, you will really like this book (and it's sequels). David takes a totally unique look on post apocalyptic living and the socialization that has ensued after the fall of the Earth. Pick it up, I promise you won't be sorry! 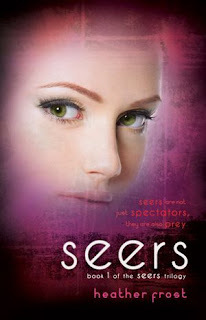 Seers (Seers #1)by Heather Frost. This is a book that just kind of fell into my lap. I got approved to read it's sequel, Demons through Net Galley without knowing it was a sequel. Well, I could not very well read the second book without reading the first. So I got this one and zoomed right through it. I really found it different and intriguing. 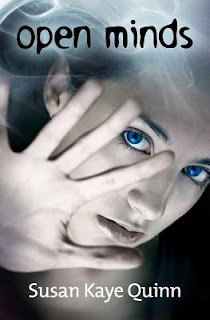 A super paranormal read, and Heather is an excellent writer! So, that's my list of Indie books that totally caught my attention this year. What about you, have you read any Indie books that you could not put down and would tell others to run out and get for sure? Wow! Thank you so much!! I'm honored to have made your list. Well deserved, Josh, well deserved. I loved your book! Susan, I love your books, so they had to go on there! I'm so honored to have made the list! Thank you! And wow, alongside such amazing authors. The few of these I haven't read, I'm adding to my to-read list!